I am neither a food critic, restaurant reviewer nor product promoter. I share what I share because it’s what I eat, like, buy and prefer. However, with more and more people soliciting my help to coax and coach them in to eat better, shop better, stock their pantries better, feed their kids healthier meals and learn to be a better cook, you have all have challenged me to help in small ways that are equally simple, healthy and delicious. While I may not be able to help everyone with each of your culinary challenges, your continued inquiries have inspired me to put together a list of a few of my new favorite things that I want you to know about. Some of these items are new to the marketplace, others are just too cool and creative to keep to myself while some are so damn good it’s crazy! You know I love to cook and tend to feel empty when I stay away from the kitchen too long. But even when I am not in the cooking mood, we still have to eat. What I am featuring today includes mostly raw ingredients along with prepared items that I always have on hand, as well as a few of my new favorite farmers market finds. 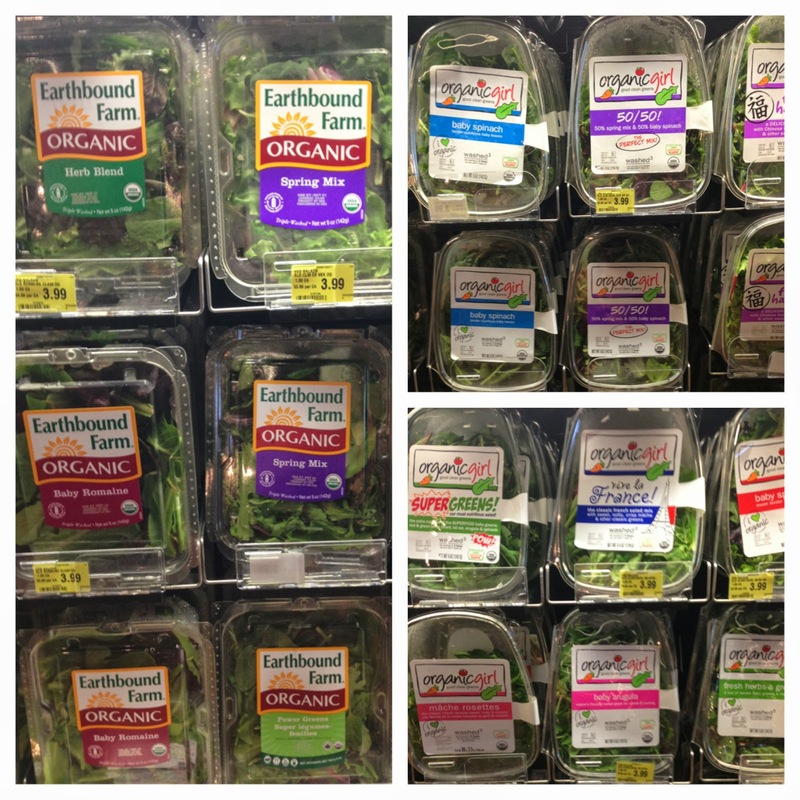 The Quarry Farmers & Ranchers Market has experienced a growth spurt as of late and the new additions are sparking lots of interest and healthy snacking! So, if you haven’t stopped by recently, come and taste what you’ve been missing. Now, let’s get cooking. And then let’s eat. Since I try my best to stay away from dairy–though I do cheat on occasion and you’ll find out why when you reach near the end of this list–Califia is my new favorite almond milk (if we don’t make it from scratch). In just one sip, you’ll be a believer, too. And then, I am guessing you’ll turn your nose up at the Almond Breeze and Silk varieties of almond milk because this brand is just so much better. I use the unsweetened blend in my coffee, but buy the toasted coconut variety for making chia seed pudding, banana soft serve ice cream and other dessert-type recipes that are enhanced by the power and flavor of coconut. I also have my eye on the original (below, far left), but at twice the calories, it’s going to be a special occasion. 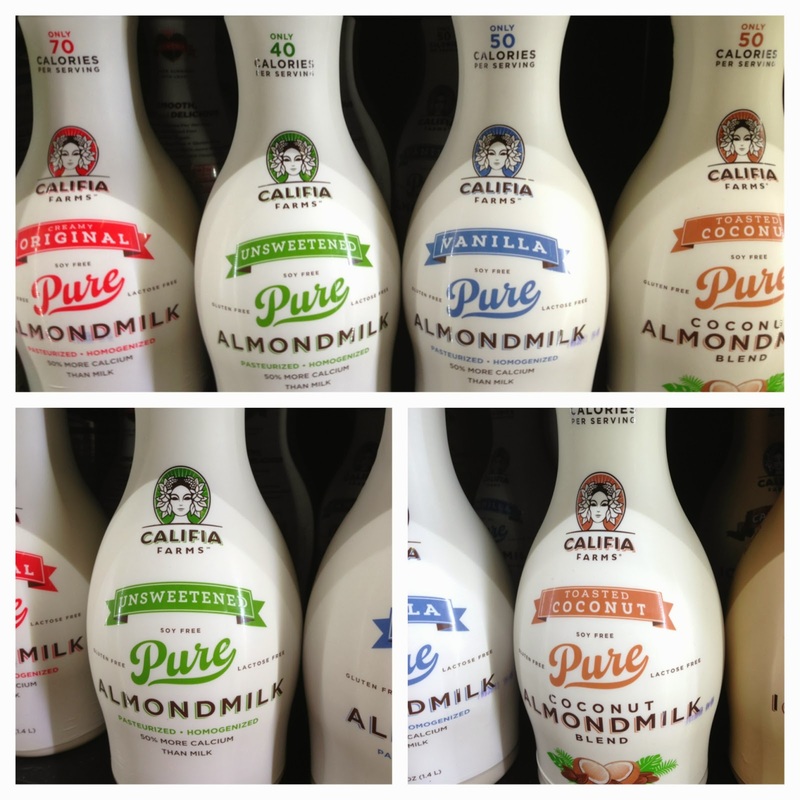 For just 50 cents more than the leading brands, Califia Farms almond milk is by far the superior choice. *Sigh*…I can’t remember the last time I twisted a forkful of spaghetti. It’s been ages. If it’s been equally long since you savored a bite or bowl of carby pasta, don’t feel completely let down and deprived, because there is new food find to fix that problem. It’s carb-free, easy to make and totally good for you. 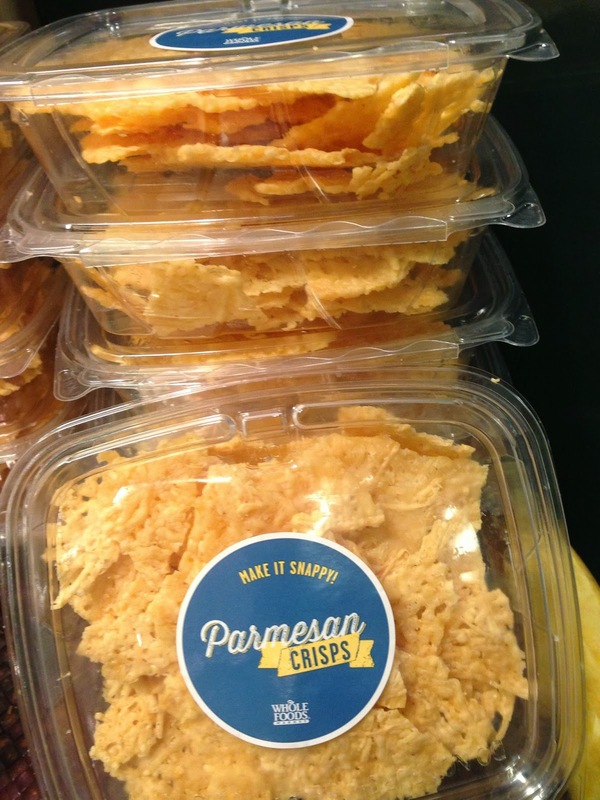 Crackers are something we also miss, so when we spotted these Parmesan crisps at Whole Foods the other day, we snatched them up and used them just as we would a cracker. Heaven. Sturdy, crispy and full of flavor. Love it! 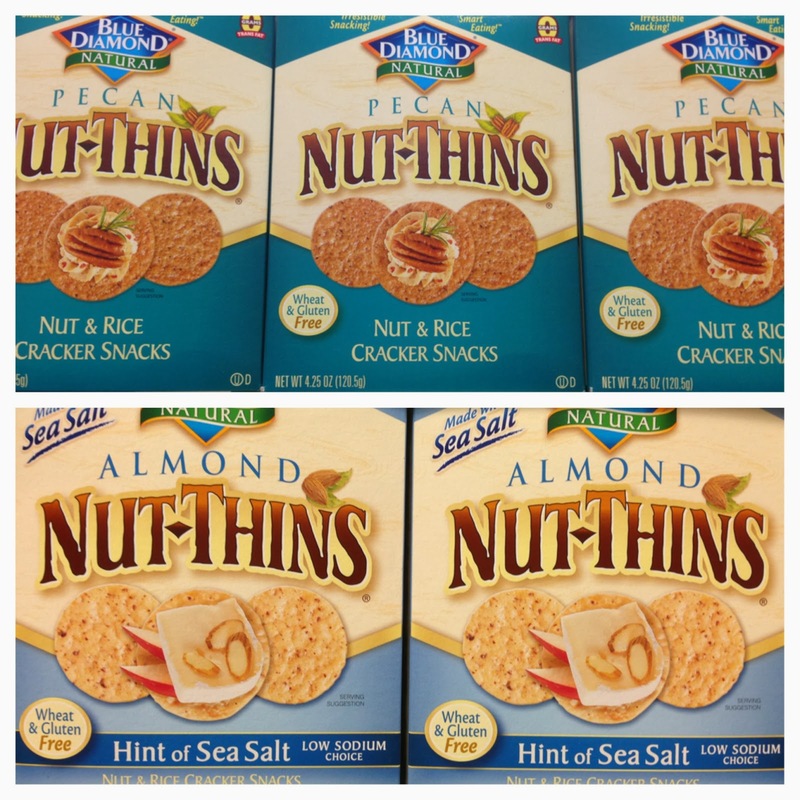 We are also totally digging Nut Thins, but since they are made with rice flour, we tend to just eat a few of these. We prefer the pecan and almond made with sea salt varieties. Organic lettuce is essential. Never, never, never buy conventionally-raised lettuce since it’s covered with pesticides and other yucky stuff you don’t want to ingest. Instead, always choose organic greens. Because a gorgeous head of organic lettuce can be impossible to find in the summer months (lettuce grows best in cooler climates), I started buying the dreaded organic spring lettuce with herbs in a box. While I do realize this might not be the most environmentally sound purchase, it is convenient, organic, fresh and I love the cilantro that’s added in this particular mix I adore (Central Market Organics brand spring mix with herbs). Of course, there are tons of options so you can always mix it up a bit depending on what you want in your salad. 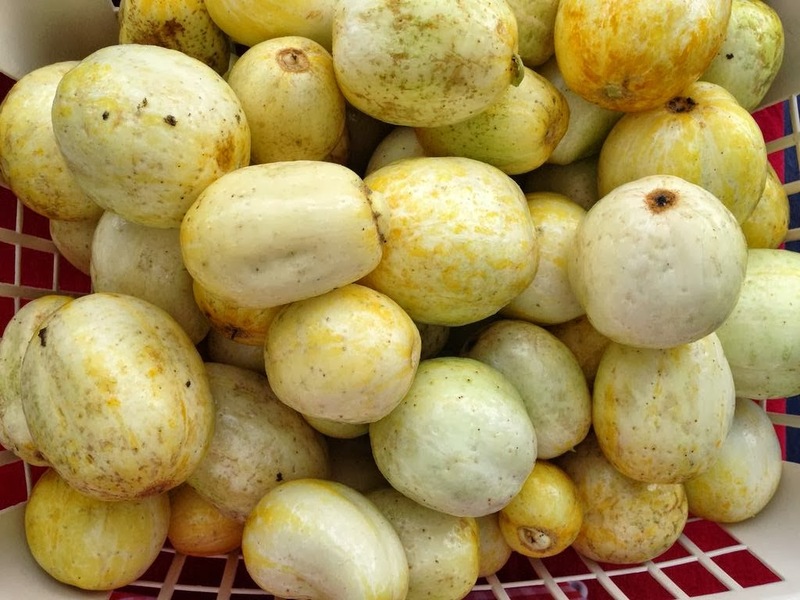 Fortunately, it’s still cucumber season in South Texas and lemon cucumbers have become one of the more popular varieties at the farmers market. They look like lemons, but taste like a sweet cucumber. The seeds are soft and easily digested and you can eat these sliced in salads or raw with a dip. 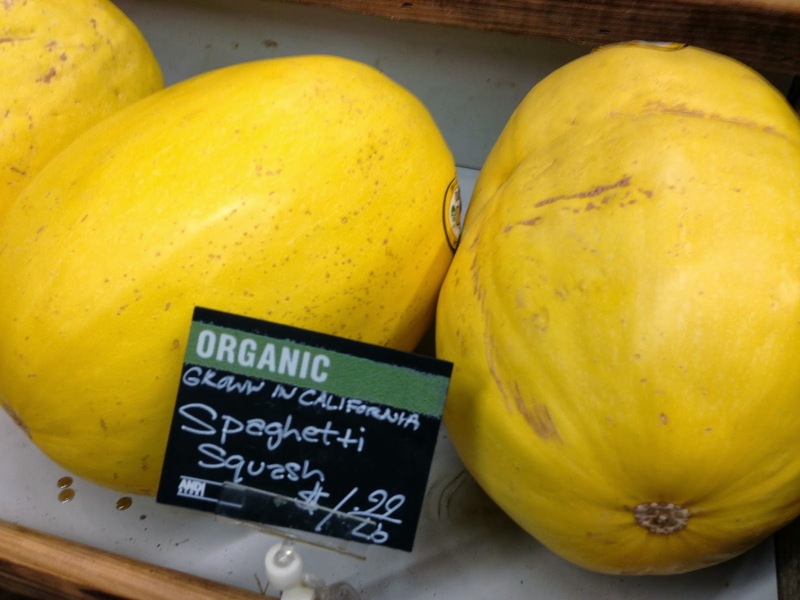 The next time you see these beauties at the market, grab them like you mean it. You won’t be disappointed. As I mentioned before, I do try to shy away from dairy, but there are moments when nothing satisfies like a scoop of real ice cream or a serving of real, homemade Greek yogurt. 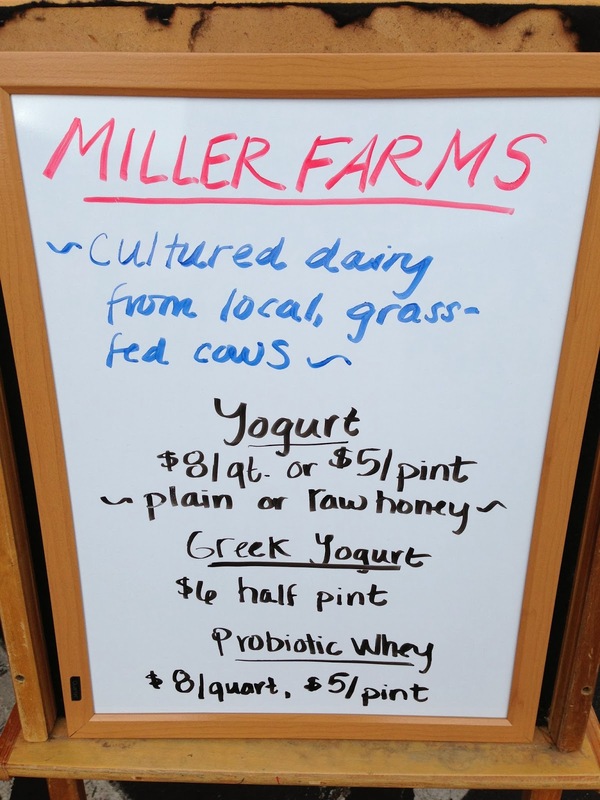 Fortunately, one of the newest additions to the market, Miller Dairy Farm, is making yogurt with the rich and nutritious raw milk from local grass-fed cows. Choose from a plain or honeyed traditional yogurt or Greek. This version of Greek is by far one of the best I have ever had. 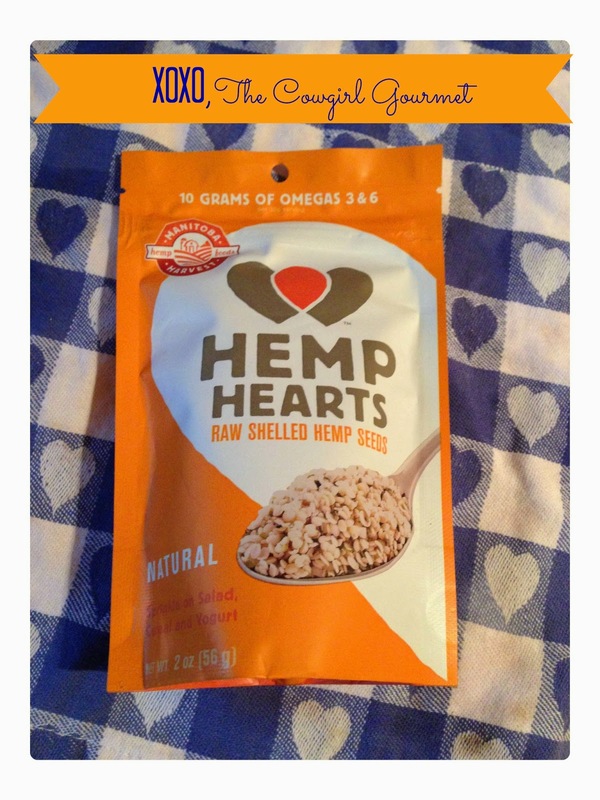 And last but not least, pick up a bag of hemp seeds and sprinkle on salads, smoothies, cereals/oatmeal, yogurt, ice cream or pudding. Loaded with omega 3 and 6’s and amino acids, two tablespoons will provide you with 6 grams of fat, 2 grams of fiber, and 5 grams of protein. Stock your pantry with these items and you’ll be one step closer to good health. And if you have favorite food you think I should know about, please share! That’s what friends are for, right?